June 13th, 2013 | Moving Tips. Bekins Van Lines knows that the moving process can be intimidating and overwhelming, especially if this is a first-time move. It’s hard to know where to begin when it seems like there’s a whole mountain of tasks to accomplish. Take a deep breath though. If you’re working with Bekins, you’re working with an expert in the moving industry with over 100 years of experience. We’ll be with you every step of the way – beginning with the Estimate Appointment. Once you contact Bekins, a representative will set up a time for a moving agent to visit your home to meet with you to figure out the details and logistics of your move. Read on to see how to prepare and what to expect out of this appointment. 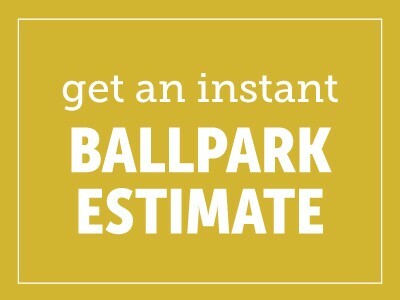 The Estimate Appointment is your first chance to get to know the moving company that you could potentially work with. It’s important to be prepared for this meeting so you will get as much out of it as possible. The most important way to prepare for the Estimate Appointment is to have a clear idea of which items will and won’t be moved. Bekins moving agent Shellie Law says, “I can’t stress enough that the consumer should be as accurate as possible when telling me which items will be moved. This will eliminate a lot of stress further down the line, and I guarantee the customer will be happier in the long run”. Another good preparation item is to allow the moving agent access to all parts of your home. If a room such as an attic is not accessible, it’s important to provide the agent with a detailed list of items that will be moved. This adds to the accuracy of the estimate. Typically, the meeting will begin by the agent asking you questions about your move such as where you’re moving, the size of your new home, the items you want to take with you and what you expect out of your move. He will also be more than happy to answer any and all your questions about the moving process as a whole. After the conversation ends, the moving agent will want to walk room-by-room through your house to take notes on the items that will be moved. The appointment time varies from person to person, but typically, the meeting shouldn’t take longer than two hours. The function of a Moving Estimate is to determine the approximate cost of your move, so many customers want to know how long until they know the cost. In most cases, the agent will get back to you within the same day, but depending on how many appointments he or she has, it could take up to 24 hours. It’s a good idea to get at least three estimates from different moving companies. That way you’ll be able to compare prices and make a more educated decision. Estimates are only valid for 60 days. If you receive the estimate more than 60 days prior to your move, there’s a chance it could change. Remember, the estimate accuracy depends on the accuracy of the information given to the moving agent. Packing Bonus: Bekins provides customers with used free boxes upon availability however we always provide new boxes to our customers for purchase at a very low cost.